For those who think the news of the day has little or nothing to do with the Bible, here's an eye-opening case that even millions of Christians might not have realized. Countless believers across the world love reading the Good Book, but there are certain sections of Scripture they go out of their way to avoid. It's understandable, since learning about the love of God and how to attain everlasting life is far more attractive than reading about gruesome events where people actually celebrate horrific acts of evil. But here in 2019, a major news item is a sobering reminder of one of the darkest, most diabolical themes found in Scripture. It's something probably no one enjoys talking about, but it's there on the pages of your Bible -- many times. So let's start with the big news of today. The state of New York has now vastly expanded abortion rights, making it perfectly legal to kill unborn children right up to the moment of birth, for almost any reason. It was condemned immediately by some of the most respected Christian and conservative voices in America, including author, radio broadcaster and family counselor Dr. James Dobson. "It is not overstating the matter to say I am horrified by the New York State Senate's vote to pass the euphemistic Reproductive Health Act (RHA). This bill is not about reproductive health at all. It is pure barbarism on a scale rarely seen since the Middle Ages," Dobson said. "This legislation expands upon New York's already liberal abortion laws, which allow for on demand abortion up until 24 weeks. The RHA's main aim is to justify abortions throughout a pregnancy's entire term based on the overly broad exceptions defined in Roe's companion case, Doe v. Bolton, including such subjective measures as a woman's emotional and psychological wellbeing. Late term abortions had only previously been authorized in New York if done to save the life of the mother." He explained the bill "also allows non-physicians to commit abortions, and decriminalizes abortion by moving it from the criminal code to the public-health code." "New York is symbolically doubling-down on the killing of the unborn on the 46th anniversary of Roe v. Wade, casting an even darker shadow on a date already shrouded in tragedy and the loss of innocent life," he said. But despite condemnations from those on the political right, there were many who celebrated the new law. Nicole Russell, a contributor to the Washington Examiner, reported: "Not only is this kind of legal protection of late-term abortion an affront to the humanity of the unborn and the dignity of society, but New York celebrated it publicly, as if it had just won the Super Bowl. "When the bill passed, video shows the assembly chamber erupting into cheers, with politicians and audience members applauding the bill as if it were a victorious symbol of strength. "That night, One World Trade Center lit up in the color pink to honor the passage of the bill. Imagine, a beacon of capitalism, shining not to showcase freedom and prosperity but the 'liberty' marking the path toward infanticide." Regarding the pink illumination, some online commenters stated: "'Grim Reapers Celebrate Death' is the appropriate headline." "That's disgusting. Celebrating dead babies on that hollowed ground. I guess next thing you folks will do is light up Auschwitz. You folks in New York are some sick people." You get the picture. There are plenty of people today celebrating the intentional murder of infant children. Radio host Rush Limbaugh noted: "I'm gonna tell you that a significant part of that standing ovation at the New York Senate chamber and a significant part of all the other celebrations is about one thing, and that is they are beating us and rubbing our nose in it, and that is what makes them happy. They hate us to the point that anything that gives them the feeling of victory, the feeling of having trounced us, that's worth the standing ovation. 'Us' being religion, God, the Catholic Church, Christianity at large, conservatives, the conservative movement." Now here's what could even be more shocking. Today's disturbing events involving the intentional, brutal killing of babies are nothing new, and actually date back thousands of years. And it's all recorded in Scripture, if people would just crack open their Bibles and read the words on its pages. Many don't realize that in ancient times, some people would slay their own innocent children. Although they didn't bring them to an abortionist, they had other lethal means. Some would take their infants to have them burned alive in fires ultimately honoring the devil. That's correct. They would bring their children forth to be sacrificed, scorched to death, often in the arms of a searing-hot idol with the body of a man and the head of a beast -- yes, a beast -- such as a calf or goat. Among the names you'll see in Scripture for such idols are Baal (the pagan sun god), Molech (a corruption of the Hebrew word melek, which means "king") and Chemosh. Here are some of the passages that rarely, if ever, get discussed in church. The places where all this baby-killing was taking place has a unique name in the Bible. It's called Tophet. It's also spelled Topheth or Topeth depending on which Bible translation you have. What's interesting about this word Tophet is that it has two meanings. One is "the fireplace," and is obvious because of the burnings taking place there. But the second meaning is "the drumming place," as people would bang drums and play other musical instruments during the sacrifices. Now, why in the world would people pound on drums as children were being burned to death? The answer is unnerving, to say the least. The loud noise from the drums and other instruments, was intended to drown out the horrific cries of the infants as they were being tortured by the flames. Maybe that's why people who support abortion today are so vocal, hoping their amplified noise drowns out any opposition. In any case, these ancient practices are all over your Bible, and I encourage you to look it up for yourselves, as it's repeated over and over. Perhaps it's ubiquitous in Scripture because God is really trying to get our attention concerning this matter. The Creator knew that murdering babies was not merely some bizarre, ancient practice that would expire and be forgotten in time. Aware of the evil that dwells in the minds of human beings, God, "declaring the end from the beginning, and from ancient times the things that are not yet done" (Isaiah 46:10 KJV), has let us know in advance about today's evil through the disturbing events of long ago. Since the 1973 Roe. v. Wade Supreme Court decision, more than 60 million children in the United States have been slain by abortion. And worldwide since 1980, more than 1.5 billion (with a b) infants have been murdered by abortion. So now you can see how the darkest parts of the Bible are back. People intentionally and publicly killed their babies in the ancient past, and they are intentionally killing their babies today, while publicly celebrating the right to do so here in America. Click here to purchase the autographed version of Shocked by the Bible.Now available, Shocked by the Bible 2.Also available, Shocked by the Bible 2 (Autographed). What do you think the Bible says is your ultimate destiny? And what will you be doing for all eternity? Is it merely floating around on clouds, playing songs on harps forevermore? The true answers may absolutely floor you. 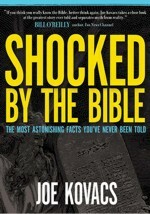 "When people actually crack open the pages of their own Bible and see the words on its pages, the ultimate destiny for believers is far more glorious than what most people have been told for centuries," says Joe Kovacs, author of the #1 best-seller, "Shocked by the Bible: The Most Astonishing Facts You've Never Been Told." Many Christians already understand that part of their reward is eternal life, and yes, Scripture indeed confirms that numerous times. But the Bible goes far beyond just saying believers will be alive forever. 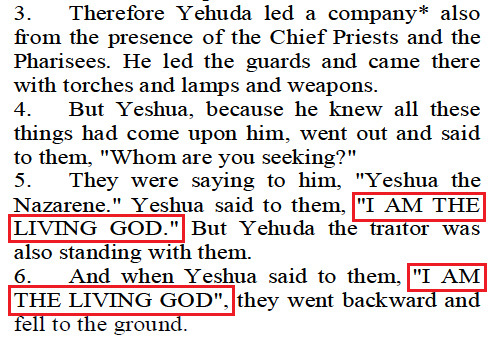 The specifics are revealed in "Shocked by the Bible," a timeless must-read for those looking for the absolute truth of the Bible. Not only does it clearly explain the ultimate destiny for mankind, the book is a giant news report that informs people on what is actually in the Bible, and what is not. With that in mind, how well do you really know your own Bible? For instance, guess how many doves were aboard Noah's Ark. The answer is not two. And guess on which day the Bible says Jesus died. Believe it or not, the Good Book doesn't mention Friday, and even more surprisingly, while the Bible says Jesus rose from the grave, it does not say it occurred Sunday morning. Remember, Jesus' followers found an empty tomb then. But don't feel bad if you've always assumed otherwise. Like countless millions of people, you've just been misinformed, misled or even (dare we say) lied to about what the Bible actually says. In his stunning investigation, news veteran Joe Kovacs goes on a mission to help both Christians and non-Christians alike find out the amazing truth. "Shocked by the Bible" is an educational juggernaut that relies solely on the Holy Bible to reveal hundreds of Scriptural facts that many people of all persuasions simply don't know. The book instantly skyrocketed to the #1 position in three Bible-related categories on Amazon.com, and demand from Christians worldwide has led to its translation into Russian and Korean. "I'm among the biggest fans of the Bible of all time," says Kovacs. "My goal is to educate people about the solid truth of Scripture and to stop the spread of erroneous information. I want people to crack open their Bibles and see with their own eyes what's actually printed on the pages, and what's not. It's shocking!" According to Scripture, you won't find "Three Wise Men" mentioned anywhere in the story of Jesus' birth. For that matter, no wise men are said to have shown up at the manger in Bethlehem. The truth straight from your own Bible is that an unspecified number of wise men first met Jesus as a "young child" in a "house," not a babe in a manger, and it might have been more than a year after He was born. Go ahead, look it up for yourself. Also according to Scripture, you won't find a single mention of Easter eggs, but you will find God warning His people not to have anything to do with a pagan fertility goddess, whose name is synonymous with "Easter." 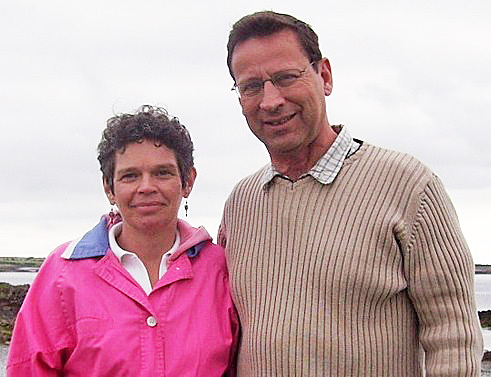 "Yes, I'm a Bible-believing worshiper of Jesus Christ," says Kovacs. "But I'm not here to convert anyone. People are free to believe whatever they wish and can come to their own conclusions. I just want to show them the biblical record is often very different from what many assume. Not only will Christians love this book, but I think Jews, Muslims and even agnostics and atheists will get a kick out of it as well." Noah's Ark is not said to have rested on "Mount Ararat"
"If you think you really know the Bible, better think again. Joe Kovacs takes a close look at the greatest story ever told and separates myth from reality. My favorite parts of the book deal with Christmas and Easter. Check out 'Shocked by the Bible.' You may well be shocked." "I'm drawn to this book. It is so well put together. I started reading it and didn't put it down for two days to finish it. ... This guy is incredible." "Kovacs has done his homework. In 'Shocked by the Bible,' he explodes certain common concepts, brings shocking stories and revelations to light and gives the reader motivation to dig deeper into the very Word of God. A valuable resource for today's jaded but biblically illiterate audience." "Since the professing church is unwilling to look intently at the Scriptures, embrace it all in context, [God] is using a believing investigative journalist to apply his gift and experience to be a witness to the Truth of what He said and established in His Word. Joe Kovacs is that man. ... I recommend 'Shocked by The Bible' by Joe Kovacs because of his journalistic approach to the Bible. He is not trying to proselytize anyone to his particular brand of religion. His agenda appears to not go beyond just a journalistic look at Scripture in order to get straight facts into peoples' hands that they might make an informed decision." As most people live their daily lives, they usually are not focused on the fact that everything they know and love can come to a catastrophic end in an instant. And it will for many in the future. The latest case in point involves the raging wildfires that devastated the state of California. From the north end of the Golden State to the southern section, the region was engulfed in a scorching sea of flames in November 2018 that destroyed thousands of homes, leaving at least 88 people dead as of this writing and many missing. "This is one of the worst disasters I've ever seen in my career, hands down," said Brock Long, administrator of FEMA, the Federal Emergency Management Agency. Gov. Jerry Brown said the destruction "looks like a war zone." Many people were trapped by approaching flames, and suffered horrible deaths by incineration, along with many animals. The Camp Fire in Northern California destroyed nearly 19,000 structures, including about 14,000 homes. The entire town of Paradise, California, turned into the opposite of paradise as it was obliterated, having nearly every home ravaged. Needless to say, the suffering caused by the infernos is tremendous on many levels. Now having said this, it's important to note the Bible itself talks about disasters constantly, from Genesis to Revelation. And while we may presume that what happens today in our everyday lives is pretty much the same thing that happened yesterday, and that what happens tomorrow is going to be pretty much the same as today, we should never fall into that trap. This a famous quote from the New Testament, as the apostle Peter was forecasting the ultimate end of all things, referring to the end of human governments and the return of Jesus Christ to take over the helm and personally run things here on Earth. But perhaps we need to apply the concept to our everyday life, not thinking that "the end" is some far-off event that will take place many moons from now, as the expression goes. Many Californians just suffered the end of their lives, the end of their homes, the end of their businesses, the end of their financial security, the end of their family, or the end of their peace of mind. They probably were not expecting any of this, but were merely living their daily lives normally. It should remind us how quickly the end can come, even if it's not the so-called "end of the age" when Jesus comes back. "Your land is desolate, your CITIES BURNED DOWN" (Isaiah 1:7 CSB, emphasis added). God clearly lays the blame for the disasters not on some random act of nature, but on the rebellion of His own people, as they refused to live by the divine instructions, the laws of God. We all need to take a warning such as this to heart. God does try to get people's attention to correct their behavior, and He uses many different methods, including disasters to do that. I have no idea if the 2018 California wildfires were sparked by God's desire to get people's attention, and I humbly pray for the well-being of the victims, but the possibility should at least be considered, especially given the amount of time the Bible speaks of flaming disasters. The point is that God uses disasters including fires to work His purposes, and there is a life-ending fire in your future you can avoid if you take the correct steps right now. So, yes, there is an ultimate end by fire for those who don't get with God's program of obedience. But just like what happened with the California wildfires of 2018, our personal "end" can come a lot sooner than we expect, coming suddenly out of nowhere, changing our situation immediately and tragically. Keeping that in mind may help us to adjust our behavior to be in line with God's instructions and remain in His love and protection. Although not on Christmas Day- Dec 25th, Jesus was born, in a manger, and Shepards were there! So here is Joe Kovacs take of the scene.